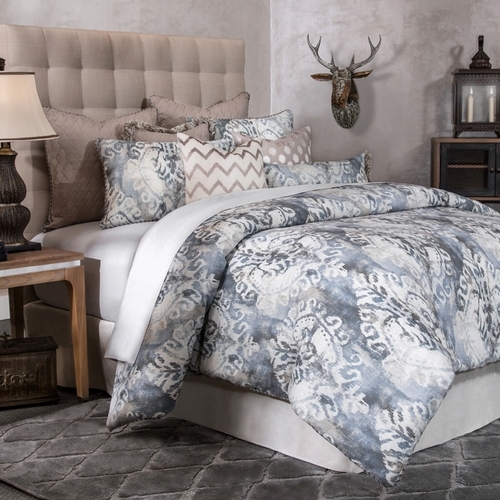 A beautiful bedding set that offers a blended palette of neutral taupes and smoke gray in a mix of playful patterns such as chevron, polka dots and a prominent damask pattern. 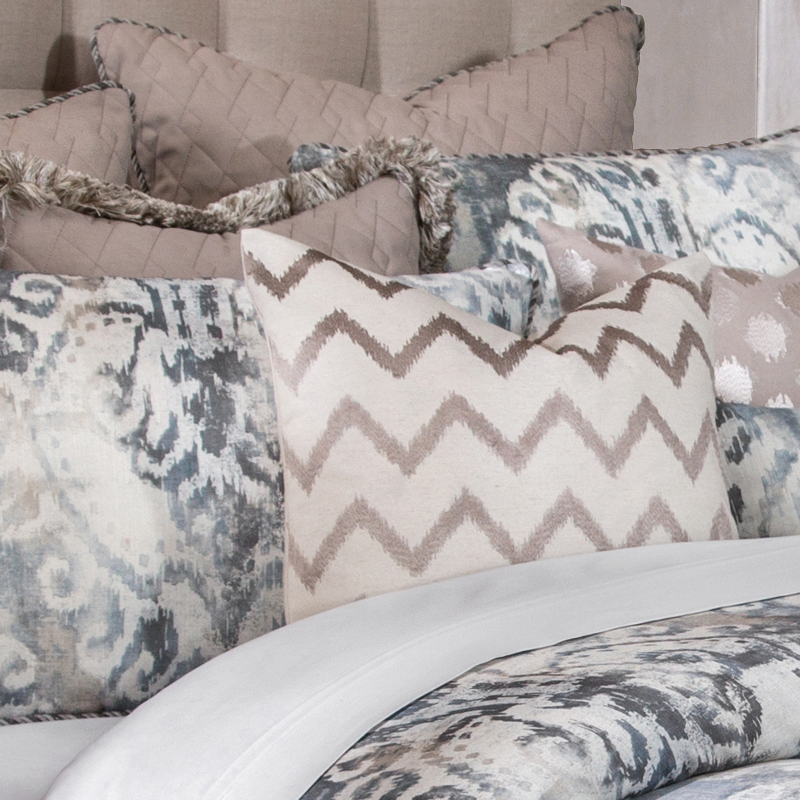 The beautiful trims add an elegance and custom feel to the overall collection. 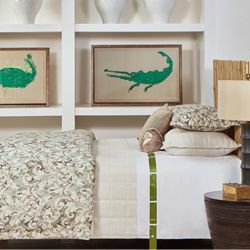 The MiraMar palette and design is versatile enough for any style of home decor. 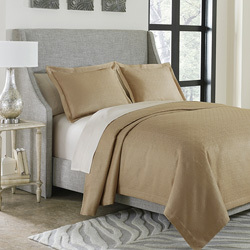 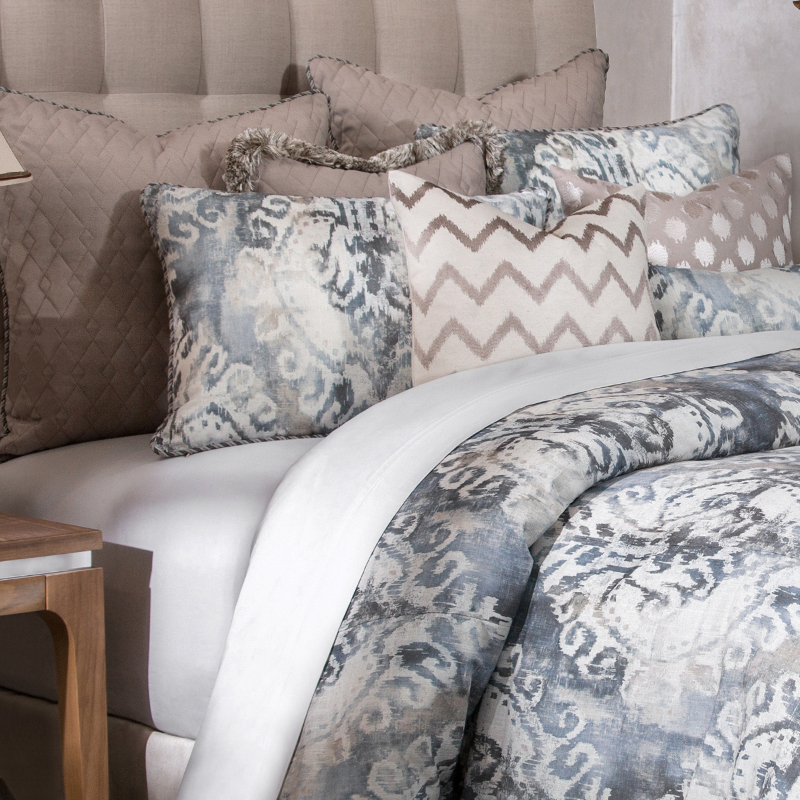 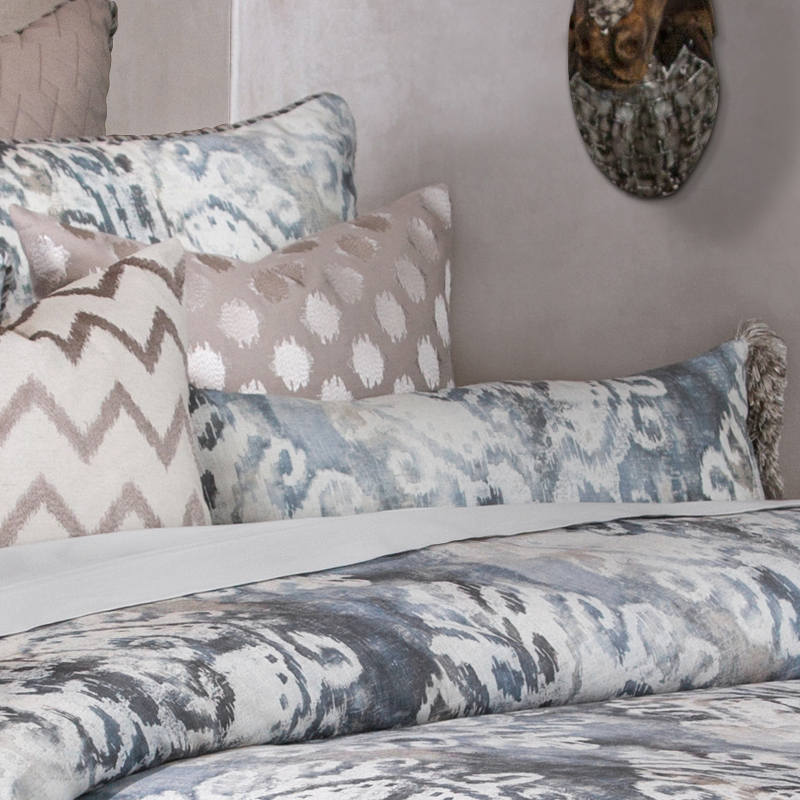 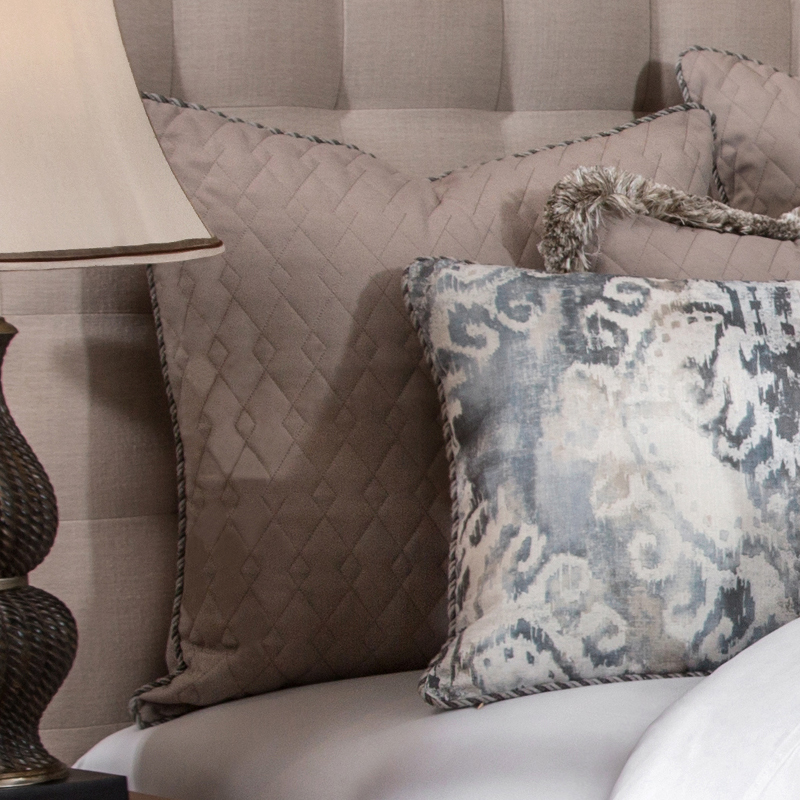 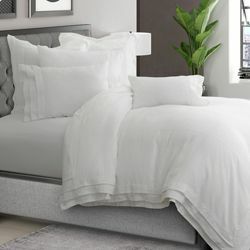 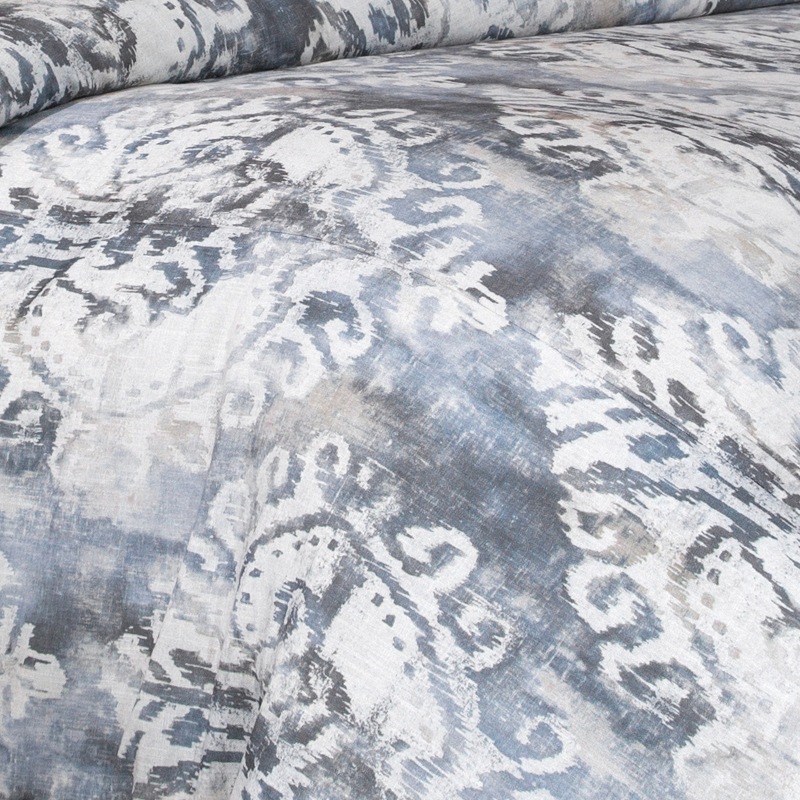 The MiraMar bedding collection is an exclusive Michael Amini Signature Design by AICO. 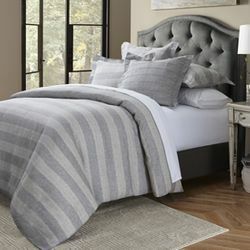 • The Michael Amini MiraMar is considered a special order item.